Browse our cheap flights to Phuket from Globehunters with a wide choice of airlines and flight times. 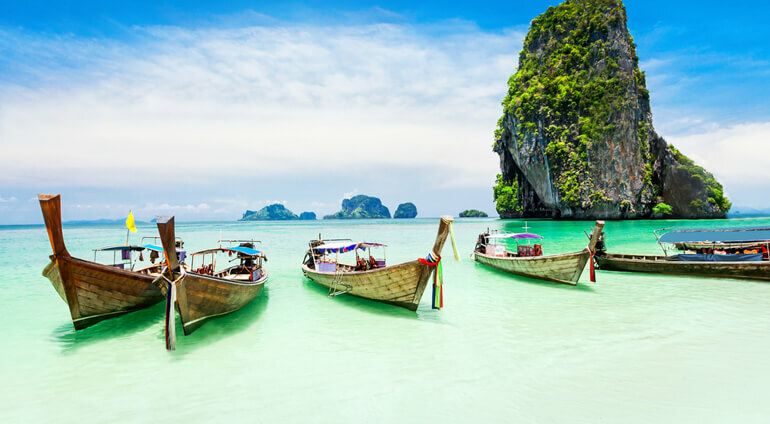 One of Thailand's most popular tourist destination, Phuket attracts anyone and everyone from across the globe – and upon arriving there, it will be clear why! Phuket International Airport is on the doorstep of some of the most amazing beaches and natural beauty in the world. With a flight time of nine hours from Sydney, this amazing holiday location is within easy reach of Australia. Taxis and buses are frequent - making exploring Bali and the rest of the island easy. There are also options to hire scooters and cars for someone who wants to enjoy zipping through the island on their own pace.